If you're looking for a gift for the person who has everything then something to protect that everything is ideal, and Lifeproof cases for phones and tablets are one of the best looking protection I've ever seen. 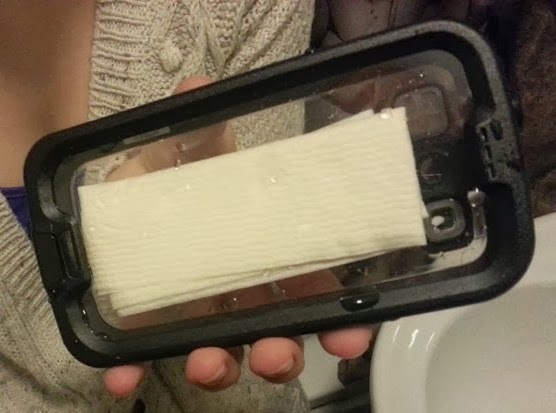 I've used phone cases and screen protectors with all of my phones. I even bought a waterproof rubber bag for my previous phone and that saved it from a couple of drenchings, but they don't last very long and they look ugly, they're not very good for keeping your phone in your pocket either because they're so huge. 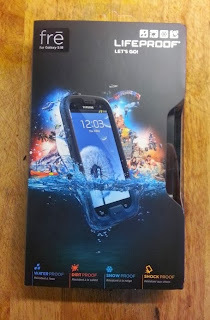 I was sent a frē Lifeproof case for my Samsung Galaxy S3 - and I was really intrigued to see how well it performed as it claims to be able to withstand a 2 metre drop and be fully waterproof. The spec is amazing, it meets military standards and should be okay underwater to 2m for an hour. The phones are "waterproof, dirtproof, snowproof, shockproof". 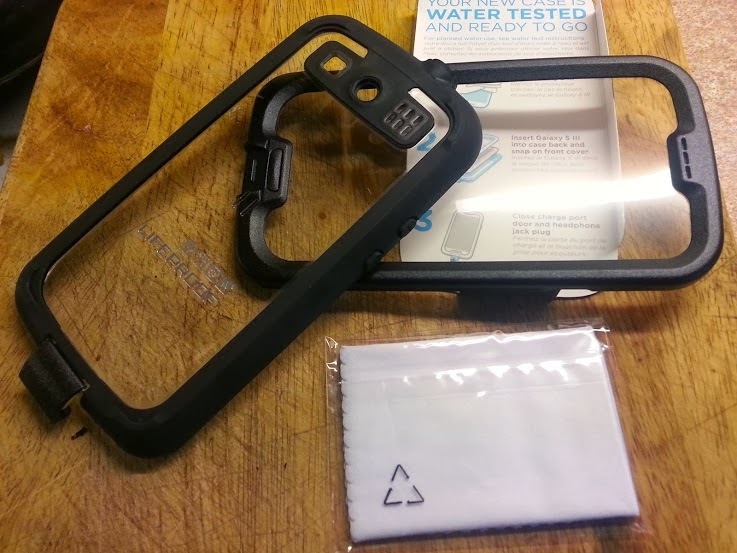 You get an instant feel for the quality as the packaging is beautiful and the cloth supplied to wipe your phone before you put the case on is absolutely lovely. 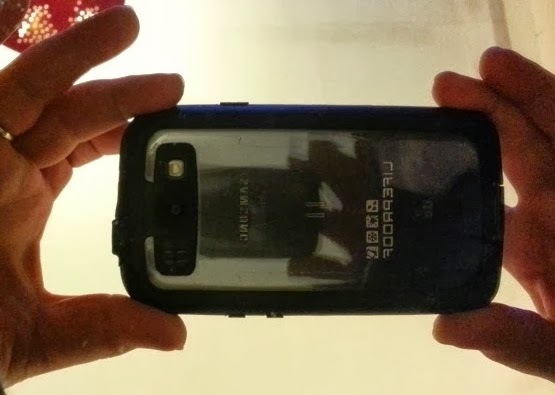 The Lifeproof case goes on really easily and is incredibly straightforward, a simple 2 piece operation, and it is actually slightly smaller than my previous case. This was also my first test of how good the quality of photographs and how effective the flash while covered by the case. I'm very impressed with the photo's. You can't tell that there is anything covering the lens at all. The case makes some bold claims. I'm not willing to try dropping it 2m on purpose, but I have dropped it 1 metre by accident twice now and there's not a mark on the phone or the case. I was however willing to take it into the water. The information leaflet describes a test before planned submersion and while I wasn't actually going to take any underwater shots, I was going to take photo's while in a pool, so we tested it. Satisfied and feeling brave off we went, and it was every bit as good as expected, and it allowed me to take a few amazing photo's on our Spa Day. The clarity is perfect. The water was very warm and the day very cold, so there was a lot of steam, but none whatsoever in my phone case and no condensation anywhere. I took this photo after being in the water for easily 20 minutes. Having 7 children I'm well aware of the speed and precision with which they can break things. We're currently awaiting the arrival of 3 new phones to replace broken ones for the teenagers. My youngest son is fascinated by phones and it's a special treat for him to be able to play with mine. At 3 he tries to be careful, but then he sees something shiny or puts it down on the table with enough force to throw it across the room. I think a case is really essential with small children. Lifeproof commissioned a study of 2000 parents and found that more than half allowed children aged 3 or younger to use their phone or tablet, with one third remarking that their child is increasingly interested in using technology so they can 'be like Mum and Dad'. 6 in 10 parents say they let their children use their tablets and phones as a reward for good behaviour like I do and the price we pay is an average £110 fixing broken gadgets. The most common cause of damage is dropping, and spillages are seen as an everyday occurrence. “Let’s face it broken gadgets are a sure fire way to put an end to family harmony! We know that things don’t always run smoothly, and that’s why we’ve developed a range of everyday cases for smartphones and tablets that are water proof, dirt proof, snow proof and shock proof, allowing even the very youngest users to take devices anywhere and everywhere – while adding a little peace of mind to parents. 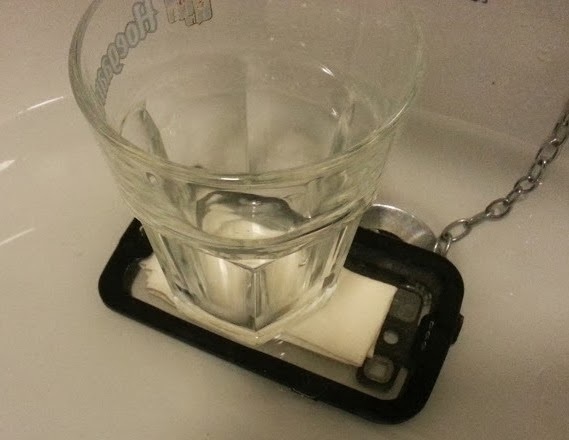 I do have one gripe with the phone case, and that is that it gets in the way when I charge my phone. It's impossible to use a cranked charger, and a standard UK phone charger only just goes into the phone enough to charge it, so a couple of mornings I've woken up to find my phone battery almost flat, but it's only a minor gripe and possibly the original Samsung charger has a different shaped plug at the end which is a better fit - but I can't find mine! Overall I'm incredibly impressed. The cases are not cheap, but they're a lot cheaper than a new phone and less than a lot of insurance excess payments. Mine has performed briliantly, there's no loss of control and it seems to do everything it claims to do. I would heartily recommend Lifeproof cases to protect your valuables. 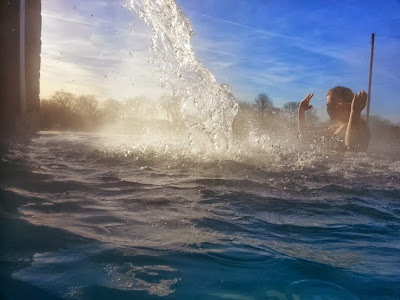 LifeProof cases are available to purchase at www.lifeproof.com, John Lewis and Carphone Warehouse. I was sent my Lifeproof case to review. 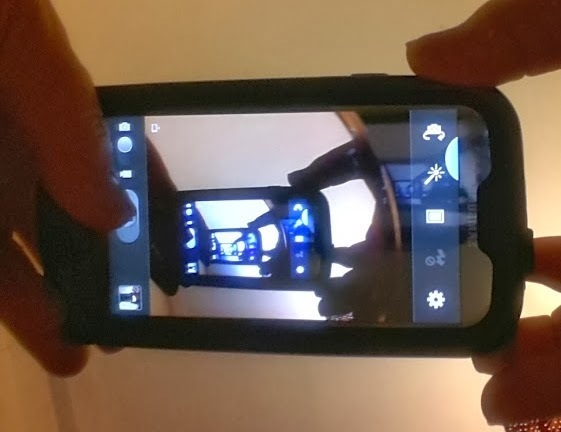 good point about the photos, I actually never thought about the case covering the lens, I have been taking pics today and never noticed any difference at all! Really did feel glad to have my lifeproof case with me today in the snow just as a precaution! I could do with one of these after my recent phone disaster! Wow! That looks fantastic! I would be scared! I so needed to find this before I dropped my Nokia Lumia. 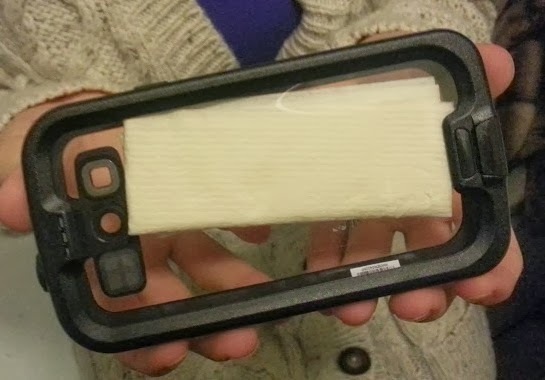 I wonder if this case would have saved my screen. I think for a drop it would have done. It's really very sturdy.